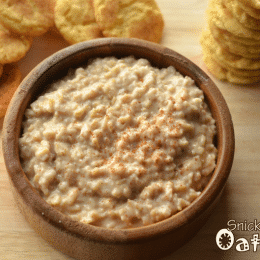 Our favorite oatmeal to date has got to be the Chocolate Peanut Butter Cookie Oatmeal. 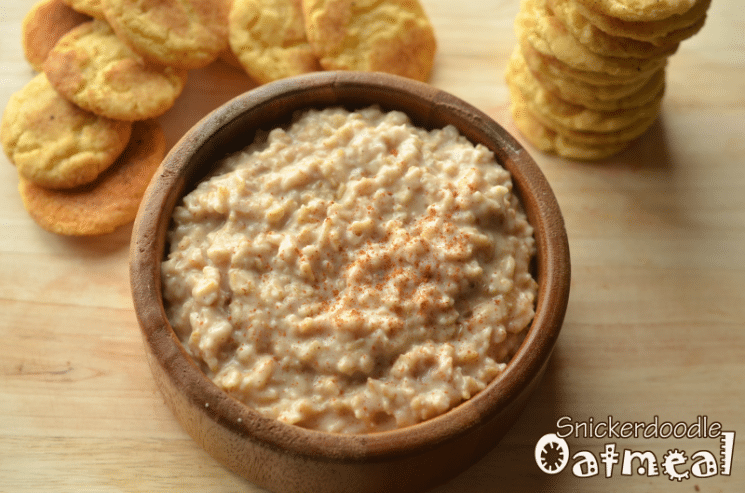 But today, we made our oats with a new cookie in mind, Snickerdoodles! I add all my ingredients right into a saucepan. 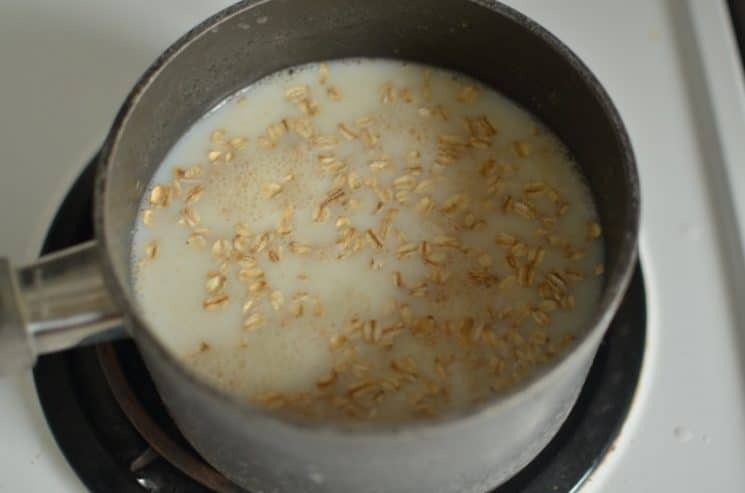 the ingredients are always 2 parts liquid to 1 part oats (I keep it this way, whether I have quick oats or rolled oats). I also plan about 1/2 cup dry oats for each person. So, If I’m making oatmeal for four, I would use 4 cups of liquid and 2 cups of oats. I also add spices, extracts, sugars, fresh or dried fruit at this point all in the pot. I love using different extracts like maple, almond, or even lemon extract! Heat the mixture using the setting on your stove just above medium. The time will vary depending on how much you are cooking. It usually takes us about 5 minutes for the liquid and oats to begin bubbling. 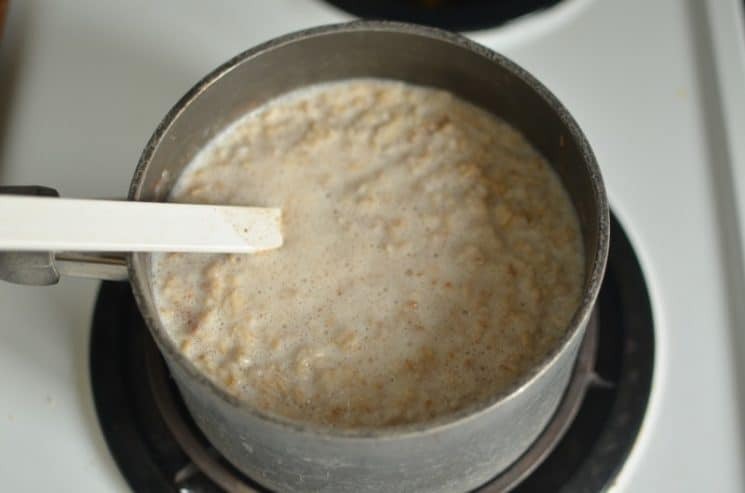 Once it begins to bubble, you can cook the oats anywhere from about 2 minutes to 8. the longer you cook it, the thicker it will get. Then you are finished! At this point you can add nuts if you like. I don’t add them till the end in order to keep them crunchy. 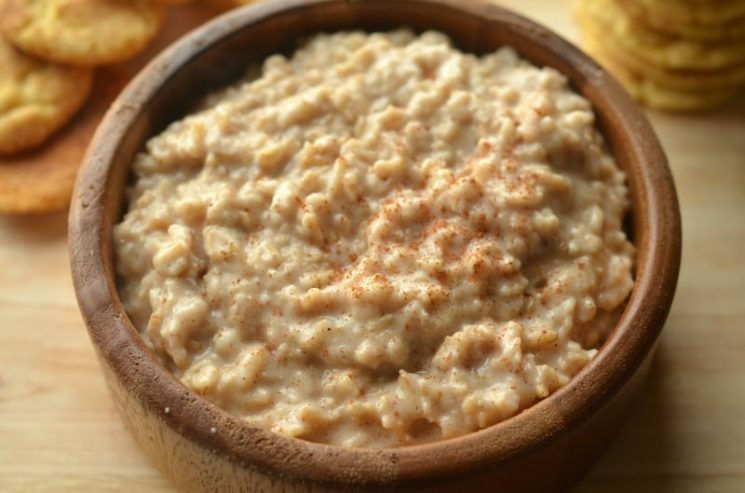 For our Snickerdoodle Oatmeal we added some cinnamon and sugar. To make it a balanced meal, serve with a fruit bowl. Place all ingredients in a saucepan. 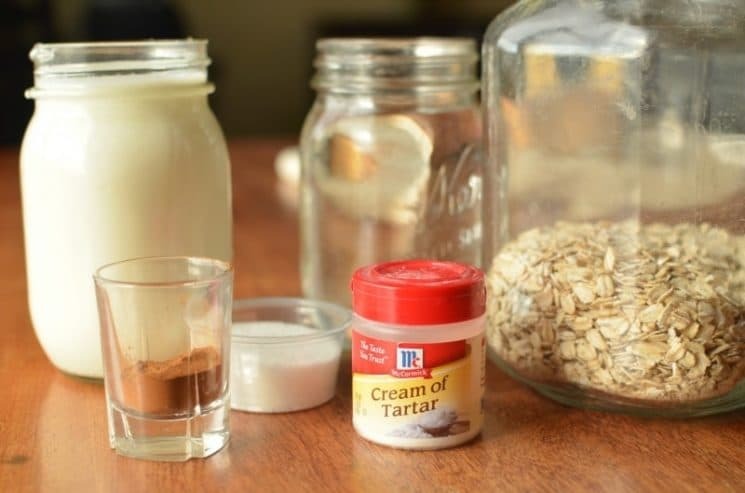 Water, milk, oats, salt, sugar, cinnamon, and cream of tartar. Warm over medium heat until oats begin to bubble. 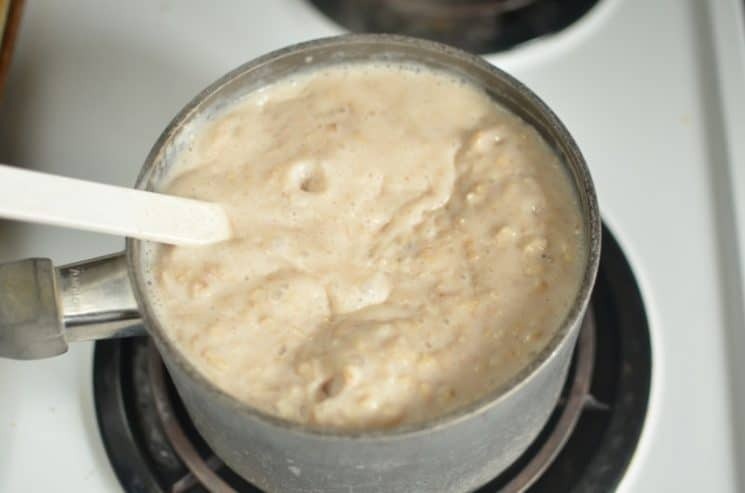 Turn heat to just below medium and continue to stir until oats are desired texture and thickness (they will further thicken upon standing). I generally cook for about 4 to 5 minutes, but less is fine too. Breakfast have own importance in our life so we should be eat the healthier break fast in the morning.Breakfast lowers cholesterol level and prevent us from stroke and cardiovascular disease.But if you want to keep more good and healthier fitness then you should do morning walk for the fitness and the weight loss. Yikes! Thanks Grace, I just fixed it! You don’t Kendra- I thought it contributed to the taste of a snickerdoodle, but now I know it’s in the cookies as an acid. LOL. 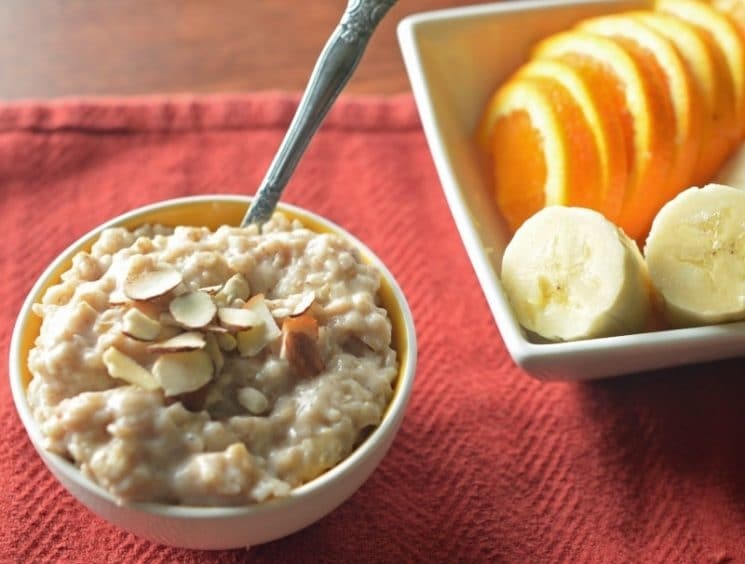 No need to add it to oatmeal!